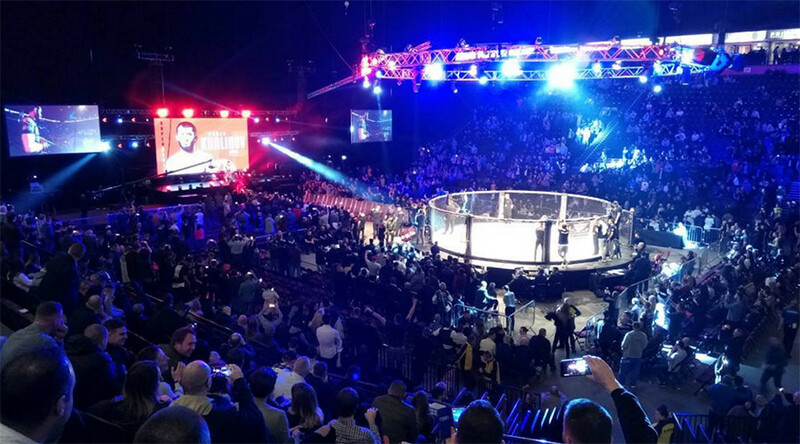 While Saturday night at Manchester Arena was without a doubt a night to remember for the Russian MMA promotion Absolute Championship Berkut (ACB), which successfully made its English debut, mixed martial arts fans also seemed to be impressed by the event. Headlined by a middleweight clash between Chechen-born Pole Mamed Khalidov and English fighter Luke “BigSlow” Barnatt, ACB 54 displayed 16 back-to-back evenly matched fights at the main card in addition to seven preliminary bouts. While some MMA watchers may have wondered before the event how many of those fights would deliver a quality show, the 73 percent stoppage rate displayed by ACB fighters, with only six out of 23 bouts moving to a referee decision, didn't leave anyone disappointed. Fans also seems to appreciate ACB’s declared concept of “Less Show, More Fighting” – an idea that focuses on the quality of bouts without relying on out-of-the-cage showmanship by the fighters. The level of the competition in the ACB has also been brightly displayed to some of the newcomers, such as American Bubba Jenkins, who lost to Russian Ali Bagov via a submission in the second round. Or the main event competitor, Englishman Luke Barnatt, who stood no chance against Khalidov after the latter landed a series of hard strikes at the very beginning of their bout, prompting the referee to step in and pronounce his victory just 23 seconds into the first round. Thirty-six-year-old Khalidov thus recorded his 33rd victory and proved his reputation as the best middleweight outside the UFC. During his post-fight interview in the cage, Khalidov, who will perform in the leading Polish promotion KWS in May, said he was glad to fight in ACB. But he wasn't clear regarding his future plans, simply adding, "We will see."